Here are a selection of books that have been reviewed by BUFORA. This latest book from Nigel Watson starts with a good Introduction; it provides a better understanding of what ufology is about, which is essential for any beginner who is thinking of entering this fantastic subject, it is also a refresher to the more experienced ufologist. The author has taken the time and effort to conduct good quality research which establishes a greater understanding of official UFO investigations undertaken by military departments in addition to him providing explanations for various mis-identifications of UFOs. The first few pages contain details of the Airship 'wave' in the UK in the 1890s and early 1900s and then goes on to provide information on various cases in the UK and overseas, including the very famous Foo-Fighters enigma, in addition to a brief history of flight. There are many historical well know UFO cases detailed from around the globe and to complement these, some lesser known ones are included, which are equally, if not more interesting. A vast array of topics are covered which range from allegations relating to cattle mutilations, alien abductions to allegations of a human/alien exchange programme. At the end of each chapter the author has conveniently included useful references to assist the reader with obtaining further information or to help them conduct their own research. Also included are many good quality photographs and illustrations which help the reader visualise exactly what the author is writing about. Overall, this was an interesting book to read. With the series advancing with an exciting progressive momentum, the Jubilee edition of Haunted Skies covers a lot of new ground on established cases. There will be some you haven’t heard of but in the multiple cases such as the ‘Welsh Triangle’ case, John and Dawn give us more material than was seen in the first rounds of the cases making it to the newspapers and reports. We see the growth of Ufology from the nuts and bolts approaches in the 1960’s and the realization that Close Encounter cases are so vividly different. The new diverse kinds of sightings were in greater variation on the shapes, appearances and sizes of Extra-Terrestrial encounters. Cases such as the Welsh school children sightings show more drawings and once again, this book series proves itself time and time again in the way the cases are relayed to the reader. John and Dawn often reverse the time clock and meet up with as many of the original witnesses as they can, as evident in their call to Randall Pugh-Jones in his later years, who investigated the original set of multiple sightings in Haverford West and other parts of Wales. We also see the beginning of new researchers appear for the first time such as Jenny Randles, Philip Mantle and Gary Heseltine’s first UFO sighting, an experience that lead to him later establishing the U.K. database for Police professionals. With artwork and original pictures of cases, we have a book that also produces new reconstructive scenes from cases, adding a further edge to the original witness hand drawings of sightings, but retaining all of the realism of the event they portrayed. Graffiti on the barn at Warminster and other places nearby such as Windwhistle Hill and the high strangeness cases which built up from the widely reported Arthur Shuttlewood and his publicity and tours to Cradle Hill to see anomalies beyond the original ‘Thing’ in the sky. New researchers were to later become torchbearers to research the cases further such as Kevin Goodman, who later produced his own overviews and accounts of the famous area. There are now close encounters with descriptions of entities sometimes looking remarkably humanoid, demonic or lizard like but also grey or impish in stature or facial structure. Craft and occupants that glow in seemingly incredible hues are reported in addition to cases of seemingly impossible trajectories and speeds, including MOD jets seen in full UFO pursuit are featured in this edition. Volume six shows us beings that emit ghostly lights and plasma like experiences and many of these predate the release of films such as Close Encounters of the Third Kind. There are many reports from personnel form the armed service too, notably many police sightings and a suspected animal mutilation case. All kinds of sightings from lights, objects all the way up to high strangeness cases are in this huge book and for the current price less than £20, Volume Six of Haunted Skies is a key turning-point edition in the growing development of the investigation approaches of the subject, the way the media report cases. The meeting of witness’s decades after the time of their original sightings demonstrates John’s skills as a police detective in reviewing cases. This transferred professionalism to the UFO reports has become a welcome and prevailing feature of the whole series of these books. Each incident is reviewed and thoughtfully edited for its context, relevance and any possible new information that can further added, which often turns up brand new material never discussed or seen the first time round they appeared in UFO or media publications. By John Hanson and Dawn Holloway. In this volume, there is impressive diversity in the huge age range of accounts and cases with many accounts by more than one witness. This latest installment in the best and most comprehensive account of UFO cases also feature some of the key moments for the subject as an additional accompaniment to the largest edition of this series to date. There are contributions from highly respected researchers and presenters such as Malcolm Robinson and Jenny Randles and once again, we can see John and Dawn methodically and carefully review cases, returning wherever possible to not only interview witnesses but also the original investigators where ever possible. This includes the debate to recognise the international awareness of UFOs, with the United Nations council meeting to debate the subject and set policy. This involved leading authors of the time such as Dr. Jacques Vallee and Dr. Allan Hynek, who brought an abundance of analytical and new classification category proposals to this global discussion. We don’t just have pilot accounts, as Gordon Cooper, the Apollo mission astronaut, also joined the ranks of witnesses, investigators and researchers whether at sea, in the air, from outer space or dry land. Haunted Skies also includes a visit to Elsie Oakensen, who passed away very recently and her iconic accounts of a craft of unusual shape and the repercussions that were to follow after the initial encounter. Humanoids appearing in every manner from invasive and terrifying to curious, enlightening and benevolent beings are explored in increased detail in parallel to cases of the most stunning and unusual UFO formations and shapes. When you read Volume 7 of this series, it makes you wonder how even today, the media and arts still revert to the single ‘saucer shape’, as even Kenneth Arnolds sighting back in 1947 were not discs and purely an expansion of a reporting misquote. Many theories abound on the origins of all the unusual sightings, but this is where this edition is fascinating. 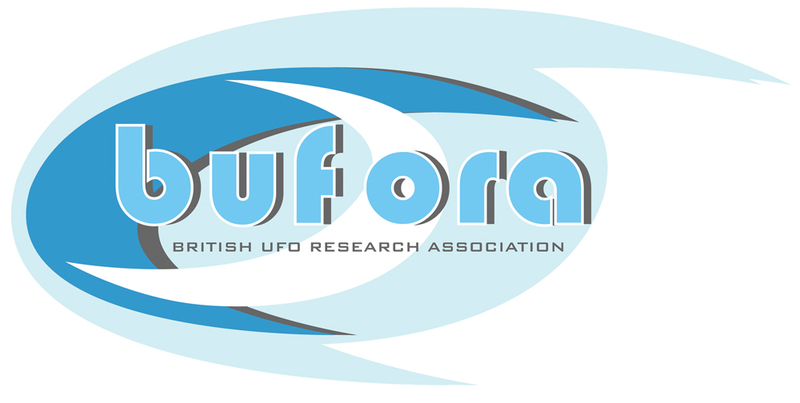 Whilst investigators such as Jenny Randles were driving for ever more demands for the scientific analysis of the phenomenon, my own organisation (BUFORA) also witnessed the resignation of some members during this time that had decided that UFOs were of demonic in origin and a wish to return to their Christian beliefs and leave this challenging subject altogether. This included one of the lead investigators of the Welsh Triangle sightings and encounters that were covered extensively in Volume six. The well documented nights in Rendlesham Forest on the famous events of 1980 should not be viewed in isolation, as in this edition of Haunted Skies; we find local accounts of UFO’s in close proximity to the twin airbases and all over the East Anglian they reside in. These events of strangeness with unexplainable UFOs are a fascinating prelude to the famous case. There are repeat sightings of the now retired Concord supersonic plane being shadowed by a UFO on more than one occasion and other sightings by pilots and passengers within typical domestic flights. The experience of another police officer, Tony Dodd, leads to another non-civilian witness joining the quest for answers to high strangeness cases. Interwoven amongst the many key cases (some previously unseen) Haunted Skies charts the UFO reaching parliamentary debate level in the U.K. when Lord Clancarty also lead a debate on the issue. He was the most senior politician to be an advocate to a more open debate and study of the whole UFO spectrum. This was a matter once again raised by Baron Hill-Norton, who believed the subject, in respect of many cases covered by Volumes 1-6 of Haunted Skies, needed to be taken far more seriously. With excellent original drawings, professional illustrations and accounts, Volume 7 of Haunted Skies tells the stories of ordinary people witnessing extraordinary events in this largest edition to date. John and Dawn have been our special guests at the 50th anniversary BUFORA conference held in 2012 in London. Buy volume 7 and you will see why the British UFO Research Association endorse the continuing work of these dedicated authors.